I co-host this show with Joy Melchezidek. Okay, we have spirit guides, right? Animal guides, right? Do we have dragon guides? 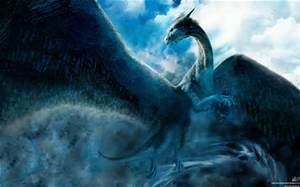 Did dragons even exist at one time? Like all legends and myths, I believe there is always an original truth and while this show may stretch your beliefs who's to say what exists and doesn't exist. Joy talks to Linda Gareh Applegate who has learned how to communicate with our dragon spirit guides. I find it interesting and certainly possible. Our movies are trying to tell us the truth. Lord Of The Rings, The Hobbit, etc. While much of it leaves it open to interpretation, there is an underlying truth in almost all ancient teachings, there are other realms. And in these realms exist a number of creatures or beings that may once have walked between 2 worlds and like some of the movies suggest, they went into hiding because things got bad in the physical world. And what do I mean by "bad", the earth became a place of darkness, but not just that, it also became a place of lies and lost beliefs, all meant to control us. And by golly, it's worked! Until now, now the voices that have been silent are speaking up, now they are being heard.